With funding provided by the Undergraduate Differential Tuition for Library Initiatives, the library has partnered with Brodart's McNaughton fiction program to offer a rotating collection of current popular fiction from a wide range of genres. With funding provided by the Undergraduate Differential Tuition for Library Initiatives, the library has partnered with Brodart's McNaughton fiction program to offer a rotating collection of current popular fiction from a wide range of genres. 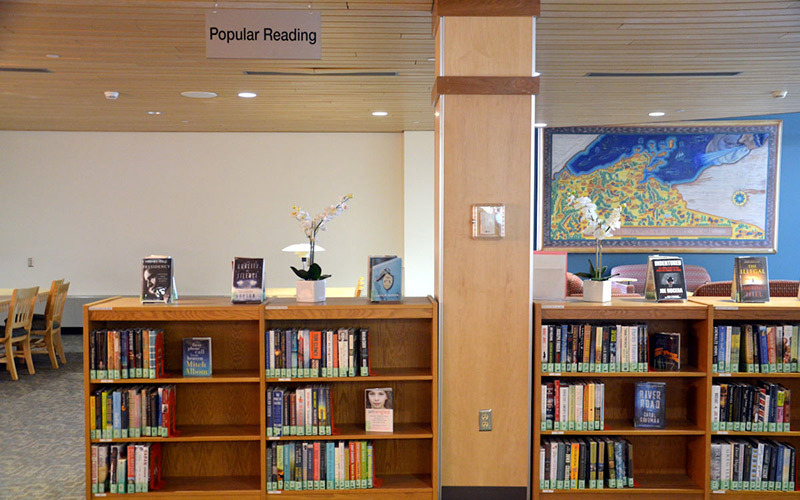 Works in the Popular Reading collection are located near the first floor fireplace, shelved by author's last name. Although you may find titles in the Library Catalog, we recommend wandering over to browse the collection in person. You never know what serendipitous discoveries you might make! If you can't find the title that you want, please make a request. Remember that requests should be for upcoming or recent (past 6 months) releases. Looking for current magazines and newpapers for leisure reading purposes? 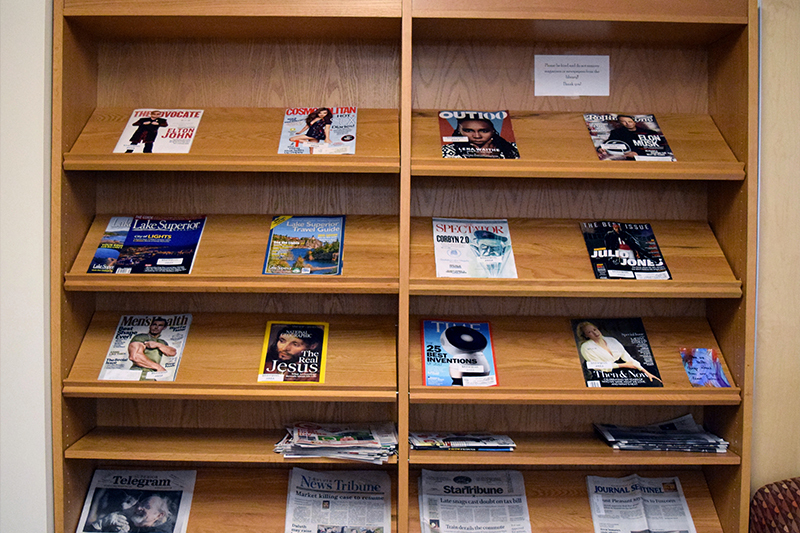 A number of current general interest newspapers and magazines are kept along the wall in the Fireside Lounge area on the First Floor, near the Popular Reading collection. Older issues may typically be found with the rest of the Periodicals collection on the Garden Level. by calling 715-394-8343 during open library hours. Distance Learning Students may ask us to ship library materials to their home address.